Refillable Cartridges with "ARC" Auto Reset Chips are easy to refill. All you have to do is remove the rubber plug on the top of the cart, inject ink until full, replace the rubber plug, and you are ready to go. No more buying expensive manufacturer cartridges. 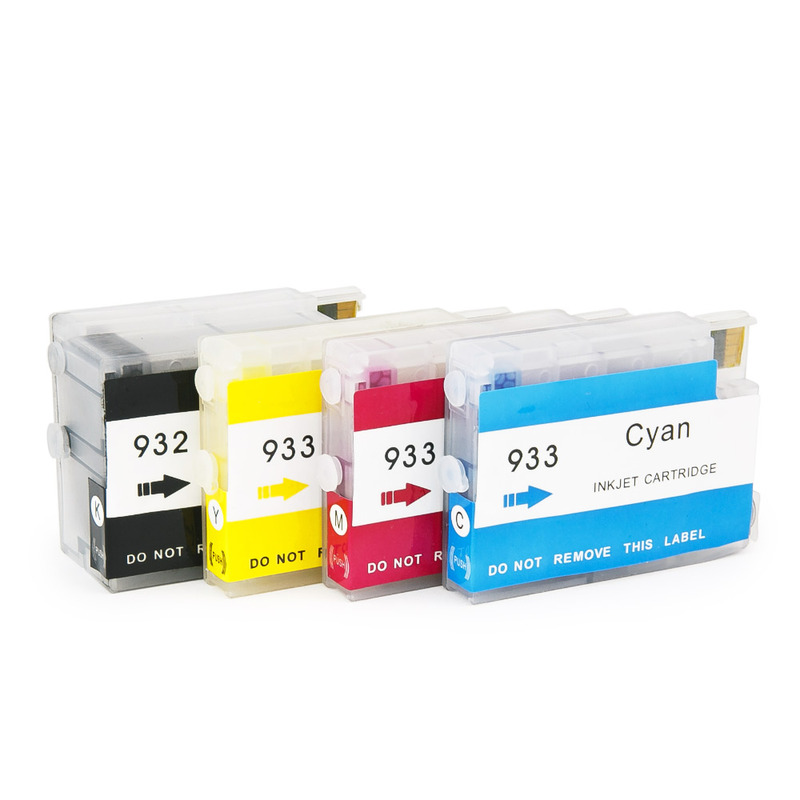 Normal ink cartridges limit the number of prints by presetting the maximum number of prints on the “Smart Chip.” With our ink cartridges, you can continue using the same cartridge again and again! Prior to using the Refillable Cartridges, you must install your demo cartridges (the cartridges that originally came with the printer) in order to initialize the machine. The systems/cartridges will leak once the pedestals are removed. This is not a flaw with the system but it is due to the sponge that is built into the cartridge. Make sure to set up a work area and use gloves. If your printer states that a cartridge is depleted, remove the cartridges, unplug the printer from the power and clean the chip on the cartridges with rubbing alcohol and a paper towel. Plug the printer in, re-install the cartridges. The printer will ask if you're using Genuine HP cartridges select "NO" It will then ask if you want to continue printing click "OK" and the printer should continue printing without any errors.